Graced with bounteous natural beauty Costa Rica has become a popular destination for travellers from all over the world. Birds play a prominent role in attracting visitors, too. The shimmering quetzals, gaudy macaws, and comical toucans that populate tourism posters only begin to hint at the impressive avian diversity to be found throughout this small country. 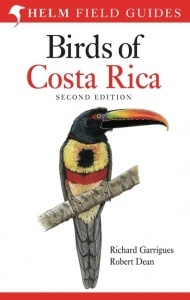 The principal objective of this book is to help you correctly identify birds in Costa Rica. Each family of birds is introduced by a brief description that should help the novice birder determine to which group a bird belongs. Nearly every species is illustrated by one or more images, as needed. Corresponding to each species' illustration is a written account on the facing page. The account begins with the unique field marks to look for that will distinguish each species from similar ones. Following the description is information about status, distribution and vocalisation. Most species accounts include a a map showing the distribution within Costa Rica. This new edition features 903 species in total, including 64 that are illustrated here for the first time. The 174 colour plates include 360 new images from artist Robert Dean. 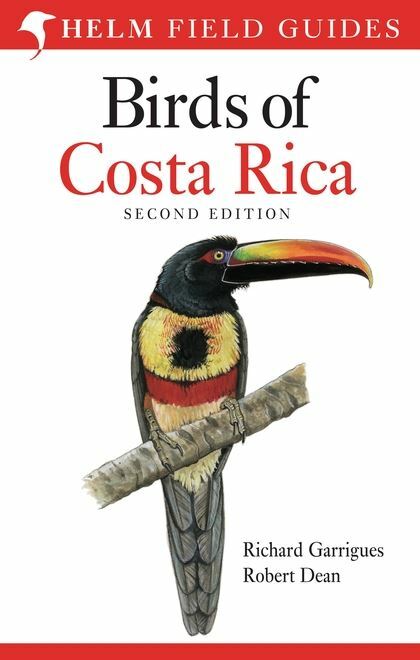 The text and maps have been fully updated to ensure that this guide is the definitive field guide for anyone visiting Costa Rica. Paperback. 440 pages. 174 colour plates.